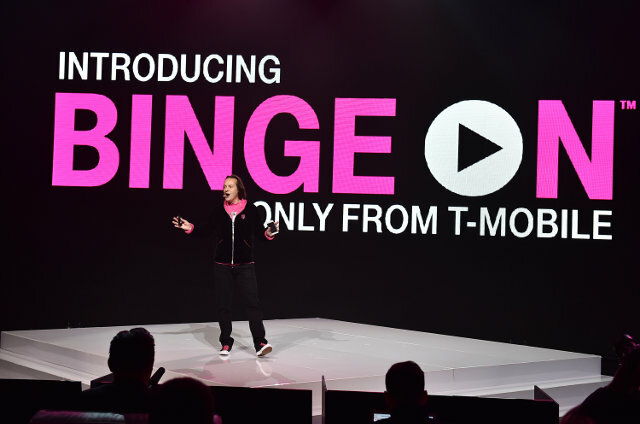 T-Mobile launched free, unlimited video streaming in a package called Binge On in late 2015 for subscribers with at least a 3GB data plan. This week, T-Mobile has lengthened the list of streaming partners to more than 50, including YouTube. Joining YouTube on the Binge On list are Baeble Music, Discovery GO, ESNE TV, FilmOn.TV, Fox Business, Google Play Movies, KlowdTV and Red Bull TV. When it first launched, Binge On originally reduced the quality of videos from all providers to 480p (DVD quality) so that streams would consume less bandwidth and not overload the carrier’s networks. This meant that even if your plan didn't include Binge On, you could still watch videos without eating up too much of your data, but you wouldn't get 720p High Definition or 1080p Full High Definition video. After YouTube frowned on T-Mobile’s throttling, the carrier now allows subscribers to opt out of Binge On if they want to stream higher-quality videos. To enjoy high-quality streams from video providers such as YouTube, subscribers simple turn off Binge On with an SMS text command and launch the mobile app or open the provider’s website. However, opting out means high-speed data consumed during streaming is counted against your data plan. Once you’ve capped your data allocation, your connection will be lowered to 2G speeds until the next billing cycle. T-Mobile now also allows video providers to opt out of Binge On optimization, enabling them to stream content at Ultra HD quality or higher through the T-Mobile network. YouTube, for instance, will optimize its own videos for Binge On. Other video providers can also follow suit. We wouldn't recommend turning off Binge On in most circumstances. First, you won't notice that quality difference that much on your smartphone's tiny screen. Second, you'll need a high-speed connection to enjoy true HD video. Video services like Netflix adjust the stream quality to your data speed, so you won't get HD unless your connection can support it. And third, HD video uses a lot of data. For instance, one hour of standard definition video on Netflix uses about 1GB of data and in HD that same one hour of video will use of 3GB of your data plan. For a complete list of participating video providers, visit T-Mobile’s Binge On page.